Low Condo Fee!! Great Location! 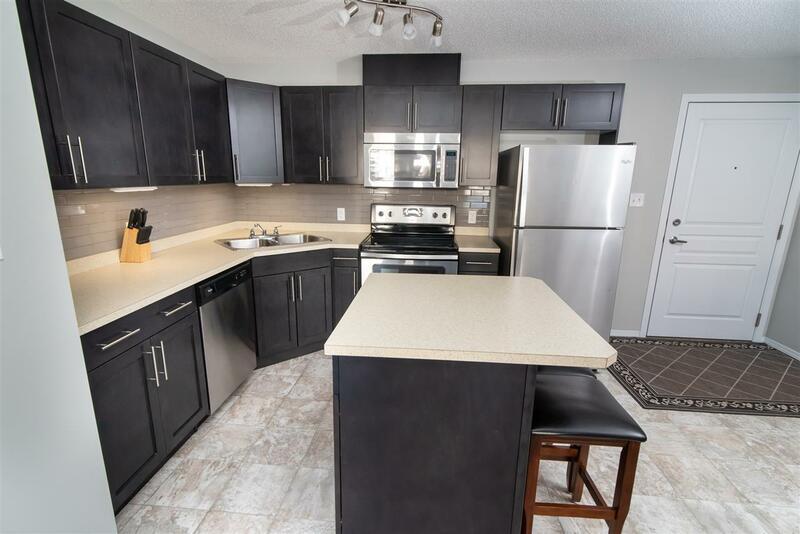 Welcome to Avenue At Clareview. 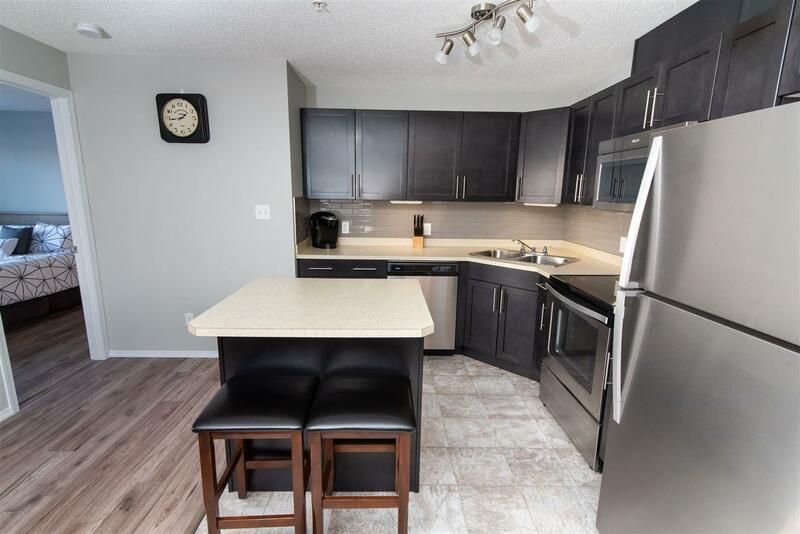 This unit features a large master bedroom with a walk through closet and a 4 piece en-suite, as well as another large bedroom and 4 piece bathroom. Great open floor plan with large kitchen with loads of cupboard space. Newer dark wood soft-close cabinetry with under counter motion lights and a power supplied kitchen island. There are 4 newer stainless steel appliances that finish off the kitchen. 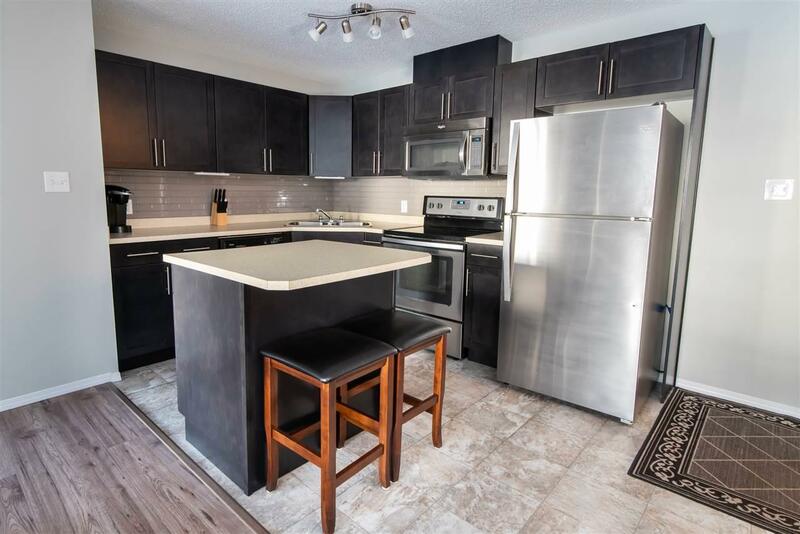 This unit offers newer laminate flooring in the kitchen, bedrooms, entry, dining area, and living room with doors leading to a covered patio with gas BBQ hook up. There is a stackable washer & dryer, and additional storage space that can easily be used as an office area. There is an Onsite exercise facility, it also includes an underground-heated titled parking stall. This affordable Condominium also offers nearby shopping, recreation complex, public transit, LRT Station across and near the complex. 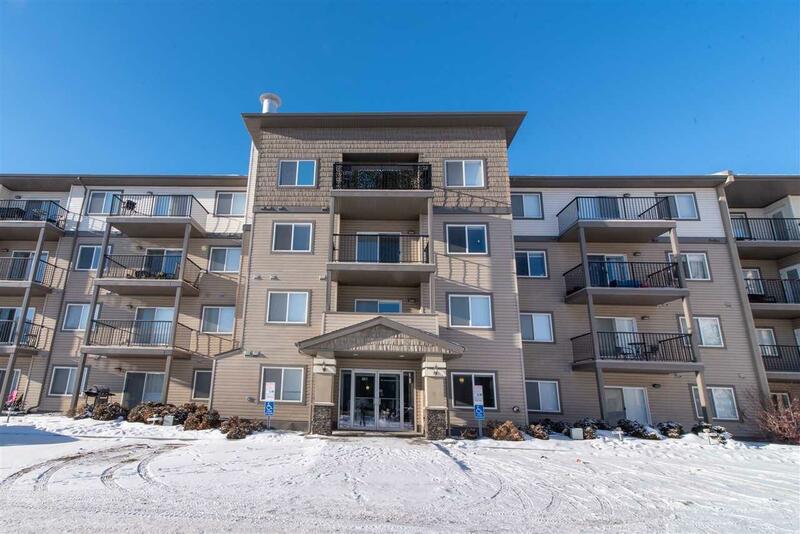 Don't miss out on this recently renovated unit.